Barcodes, Inc., North America’s recognized leader in the delivery of Automated Identification and Data Capture (AIDC) solutions, announced today that Jon Myalls has been promoted to Vice President of Sales for the United States. Jon has served as Barcodes, Inc.’s Director of Sales for the past 2 years, and overall has more than 15 years of sales experience in the technology industry. 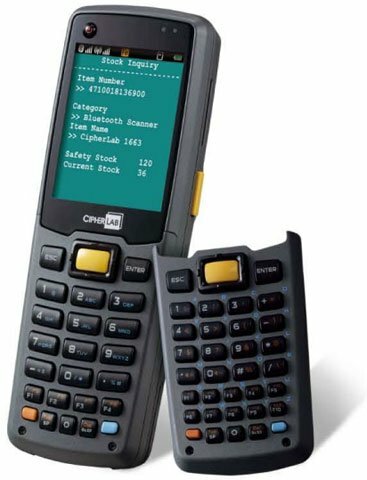 CipherLab is very excited to introduce the 8600 series mobile computer with the CipherLab Operating System (COS). Running on COS, the 8600 series focuses on typical AIDC applications that are specific to the company’s needs. It is equipped with a color display facilitating data classification by preferred colors. Its flexible designs include swappable keypads of 29 or 39 keys that can be switched when the users see fit. Weighing only 240 grams, the 8600 series allows for comfortable usage with excellent mobility. The 8600 series also comes with proven WLAN 802.11 b /g / n and the latest Bluetooth 4.0 that efficiently deliver real-time data transmission. Versatile reader options of linear imager, laser, 2D imager and option RFID allow for favorable fashions of data collection. Along with easy-to-use software tools, such as Forge Application Generator, Remote Console and Text Browser, the 8600 series facilitates easy startup and provide more efficient IT management.